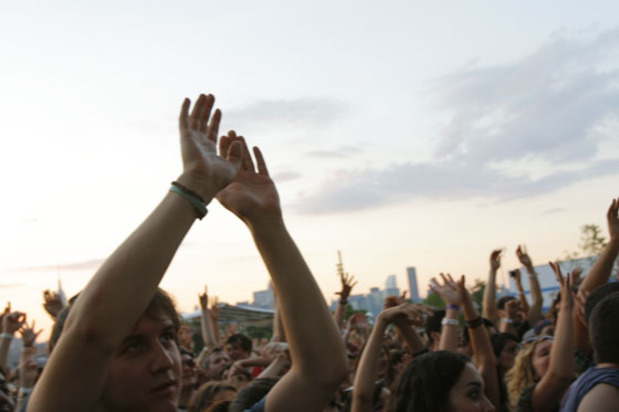 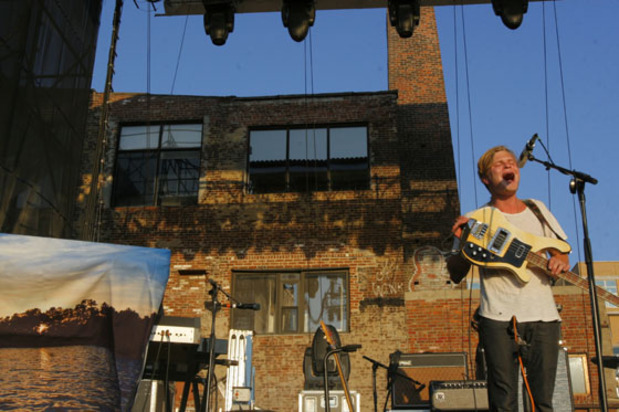 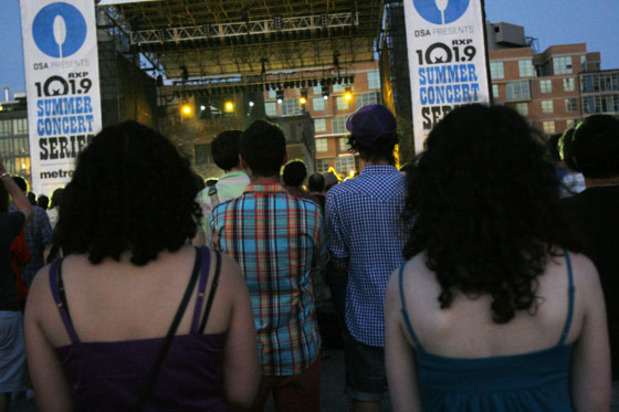 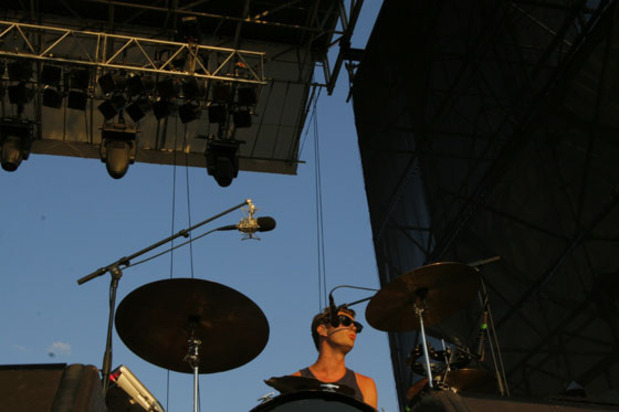 We celebrated the summer solstice a day early with the rest of Williamsburg at the East River State Park this past Sunday, as Karen Elson, Grizzly Bear and Band of Horses played the first sold out show at the waterfront. 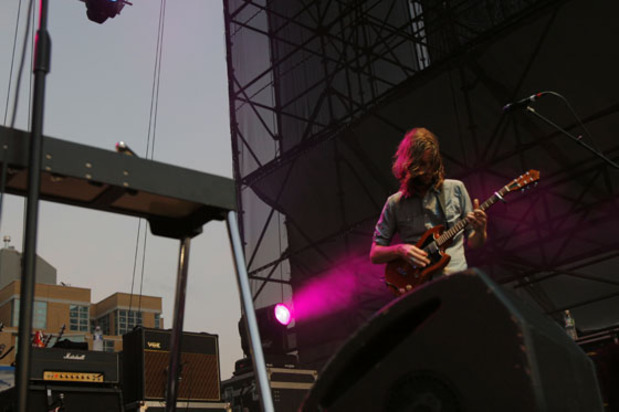 Grizzly Bear’s Ed Droste saluted the summer season by wearing Hawaiian floral swim trunks, and even the keyboard was dressed for the occasion, draped in a sheet printed with a tropical beach at sunset. 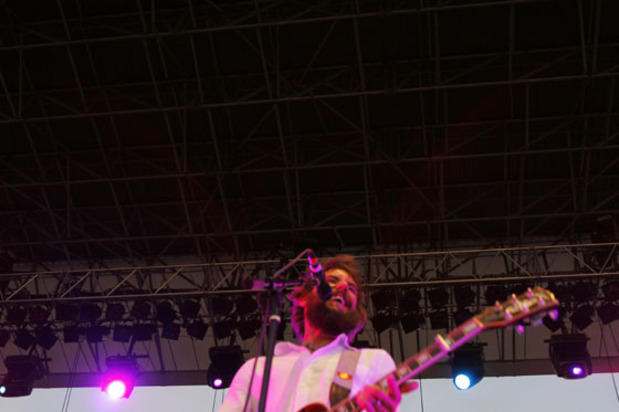 Photos of Sunday's show are after the jump.